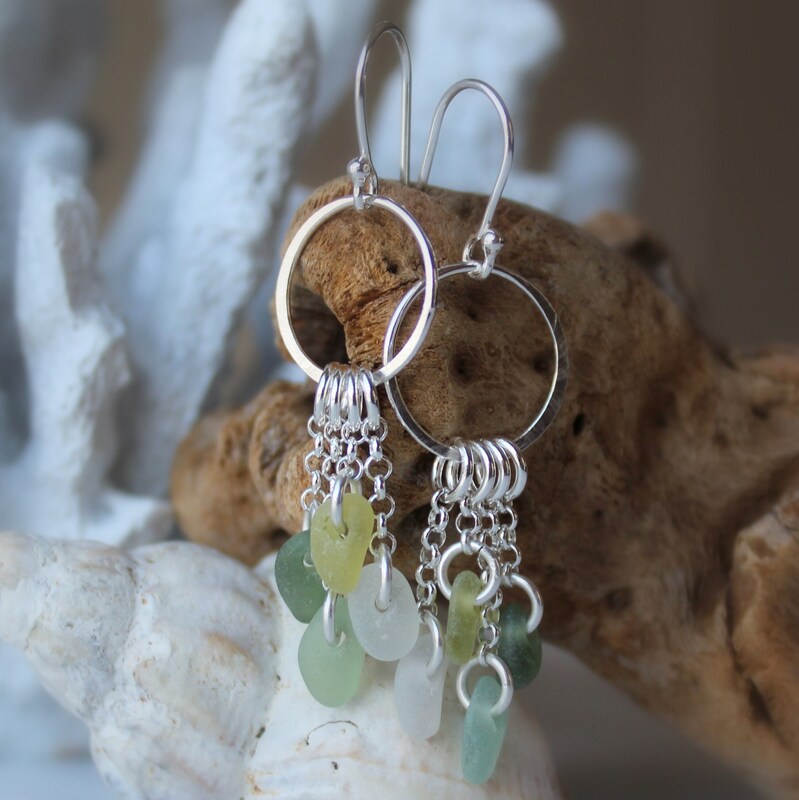 Our Sirena earrings are crafted with the tiniest drops of genuine sea glass in teal, citrine and white, dangling from little hoops, all in sterling silver. 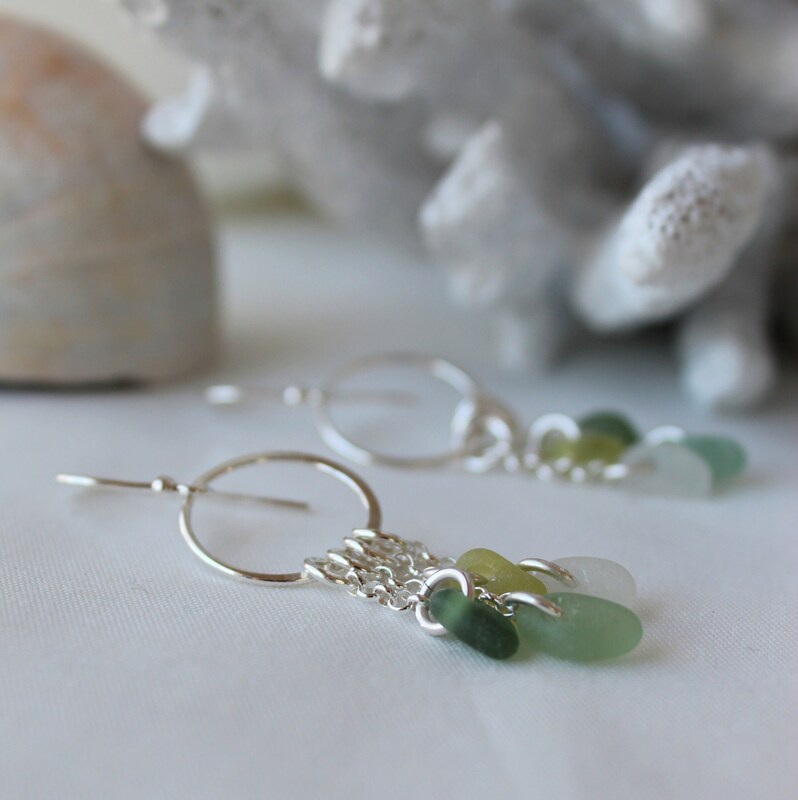 These beachy earrings have lovely movement and are perfect for everyday wear. 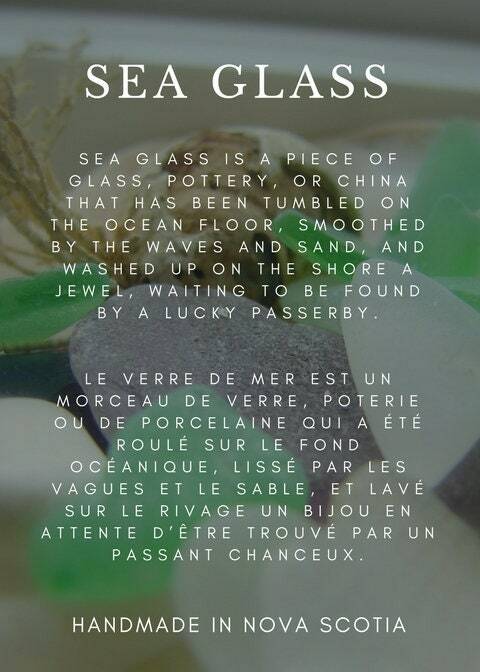 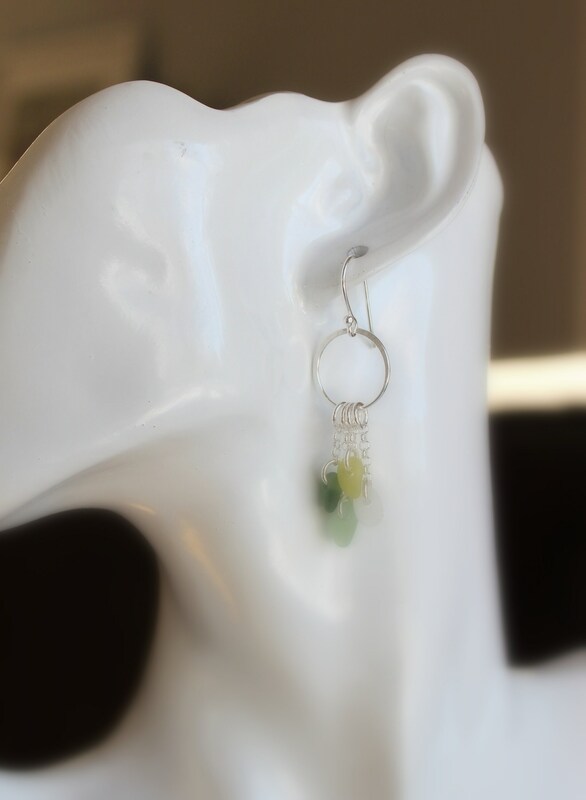 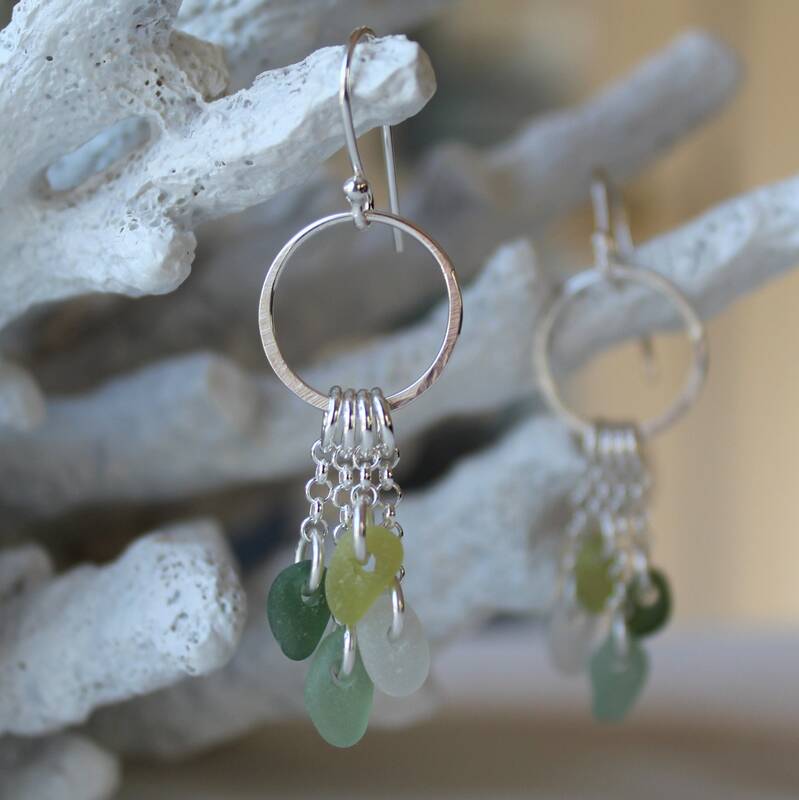 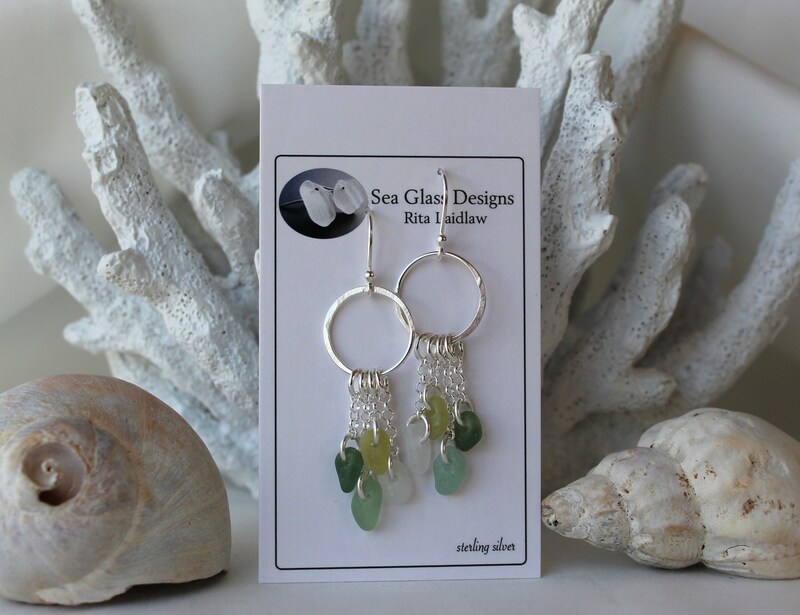 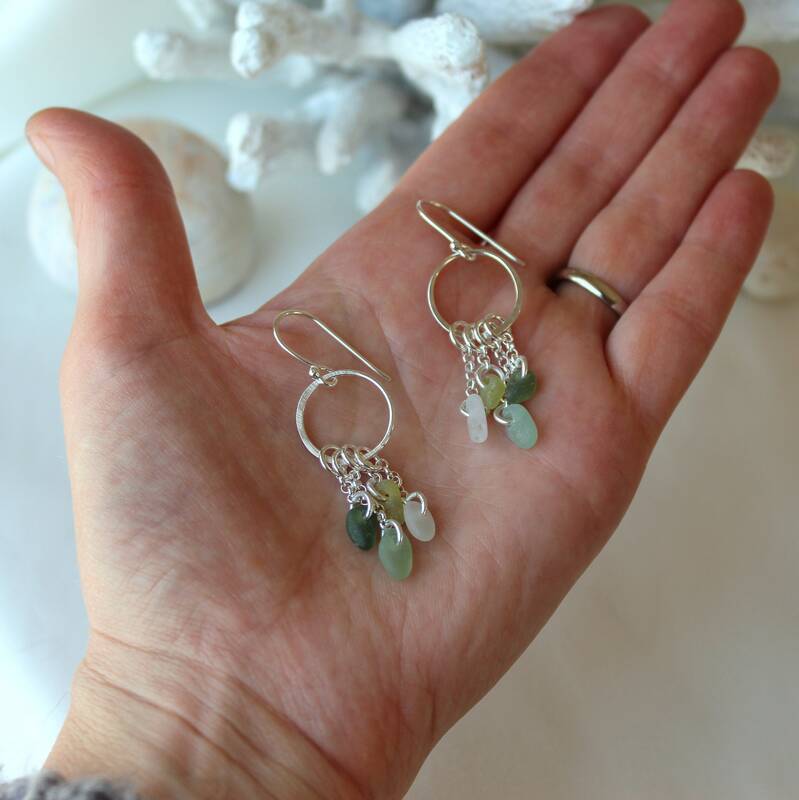 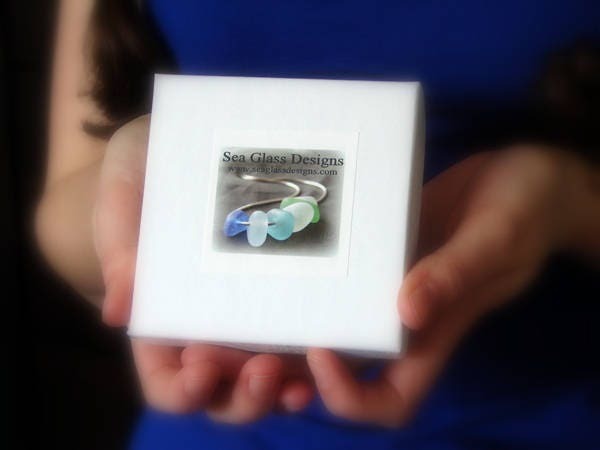 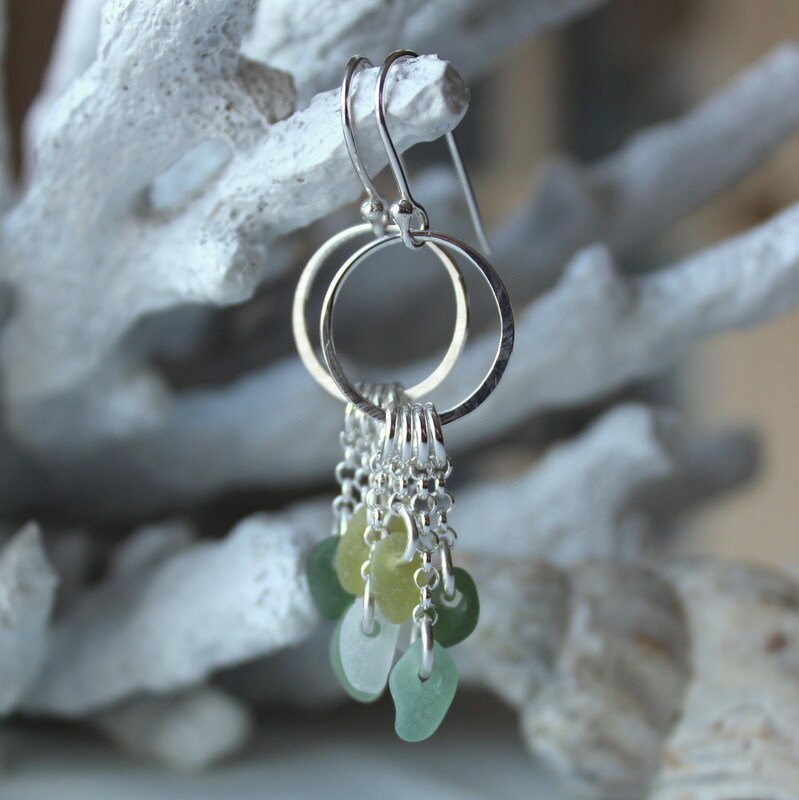 Reclaimed silver is used in the chain, and, along with the sea glass, makes the earrings earth friendly. 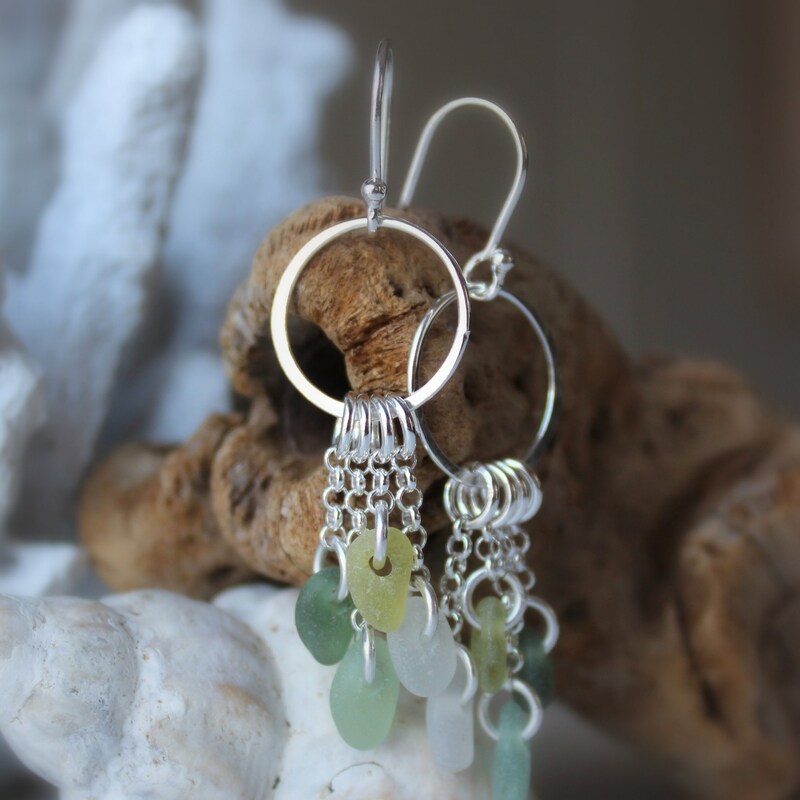 They measure 2 inches in overall length.